MIAMI BEACH, Fla. — The white curtains in the lobby at Delano South Beach signal that there’s something special about this place. Billowing down from cathedral ceilings, they flit in the breeze flowing through the long, narrow corridor, revealing glimpses of avant-garde furniture and cozy nooks for discreet people-watching. Semi-sheer and seemingly weightless, they transport guests from the harsh gaudiness of South Beach into a dreamier world. 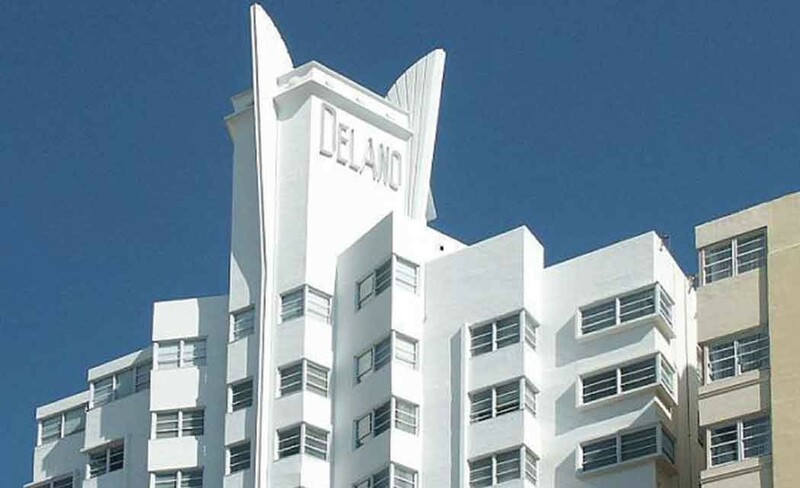 Even in quirky South Beach, the Delano stood out as an aesthetic anomaly when it opened. Twenty years later, though, the design ideals and social experience offered by the Delano have almost become industry standards, with major hotel chains like Marriott and Hilton launching new “boutique” brands aimed at millennials and design-savvy travelers. The Delano wasn’t the first boutique hotel, but its popularity and location in a revived Miami Beach pushed it to the front of a trend just starting in the 1990s to reach beyond design hubs in California and New York. The Delano’s look and vibe attracted attention partly “because we really had saturated the market with plain vanilla, four-wall, same-old, same-old,” said Michael “Doc” Terry, a lodging expert at the University of Central Florida’s Rosen College of Hospitality Management. Boutique hotels now make up a small but growing percentage of the U.S. hotel industry, with about 103,000 rooms compared to 4.9 million traditional rooms, according to travel research firm STR. More important, Terry said, most major hotel chains have in the last few years launched a boutique hotel or design brand. Averaging 75 to 150 rooms, they tend to share some attributes with the Delano: minimalist designs, restaurants highlighting the farm-to-fork movement, contributions from local artists, unique events and trendy or high-tech amenities. These social experiences draw guests from their rooms to lobbies and pools, redefining hotels as much more than a place to sleep. There’s now a Delano in Las Vegas too, but the Delano in South Beach looks much the way it did when it first opened, with all-white rooms accented with flourishes like fresh green apples and hidden angels, reflecting the influence of designer Philippe Starck. The Delano also helped shift the emphasis among luxury hotels from over-the-top glitz to sleek style and service. The boutique trend continues to grow throughout the hotel industry. Starwood launched Aloft hotels, known for modernist design, a decade ago. The InterContinental Hotel Group acquired the trendy Kimpton boutique brand in 2014. And earlier this year, Destination Hotels opened Quirk Hotel in Richmond, Virginia, where demand for a design-focused hotel turned out to be bigger than anticipated in a market dominated by traditional chains and older Southern establishments. Boutique hotels generally command higher prices and occupancy rates than more traditional hotels. During the first nine months of this year, the average nightly price of a room at a boutique property was $227.26 compared to $117.74 for traditional hotels, according to travel research firm STR. Those hotels also saw 76.8 percent of their rooms booked while other hotels only had 67.1 percent.